Usman Shaikh is the founder and managing attorney of U.S. Law Group. His practice focuses on Corporate, Entertainment, and Intellectual Property. Usman takes a business-minded, interdisciplinary approach in representing his clients, which include entrepreneurs, tech startups, financiers, producers and production companies, new media companies, creative talent, and fashion designers. Usman brings his solid relationships with key executives and businesses in diverse industries to client representation, leveraging these relationships to create deal-making opportunities for his clients. 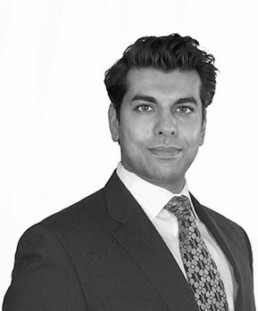 Usman began his legal career over a decade ago as a corporate attorney at the New York offices of the international law firm Winston & Strawn LLP and, eventually, moved on to the Wall Street firm of Seward & Kissel LLP. During his time in New York, Usman worked on a wide range of corporate transactions in the areas of Mergers & Acquisitions, Private Equity, Securities, Secured Lending and Structured Finance. Prior to forming U.S. Law Group, Usman was at ICM Partners, one of the leading talent agencies in Hollywood, where he worked with business affairs in negotiating and structuring talent, production and financing deals, and gained invaluable experience in the entertainment deal making process. In addition to managing U.S. Law Group, Usman devotes his time to numerous local charities in Los Angeles. Usman is also a member of and panel attorney for California Lawyers for the Arts. Usman is often a guest speaker, panelist, and lecturer on topics related to digital and new media.